Kelly and I met with local furniture maker Ben Rosenberg at the Grovewood Gallery on Wednesday afternoon. Ben studied welding and furniture making at Haywood Community College. 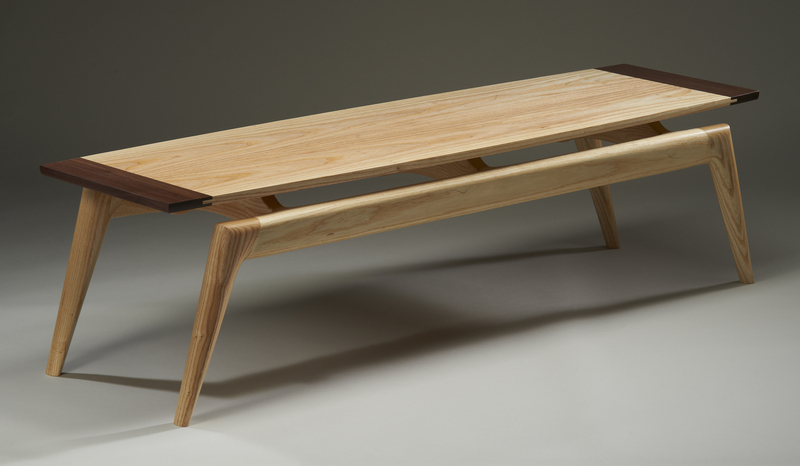 Ben’s inspiration comes from the great designers and furniture makers from the early modern movement creating furniture with clean lines and subtle curves. Ben says, “These elements reflect my belief that thoughtful design creates uncluttered, functional, and beautiful pieces of furniture.” We agree. Ben uses locally and sustainably harvested lumber whenever possible that is either air dried or dried in a solar kiln. Not only is this better the environment, but helps retain the woods natural color and also provides him with lumber that is superior to work with. Ben’s goal is to provide our clientele with beautifully handcrafted, heirloom quality furniture that is built to last lifetimes. 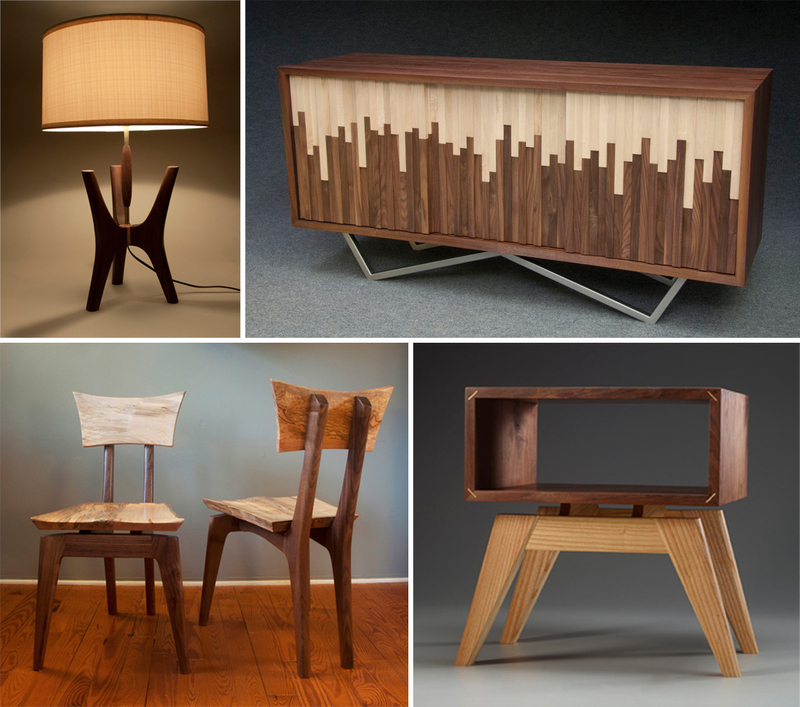 For more on Ben visit his website here or stop by the Grovewood Furniture Gallery. Cheers! This entry was posted in Asheville Modernism and tagged asheville, ben rosenbury, craft, furniture, Home Furnishings, mid-century, modern. Bookmark the permalink.